The Maven Slim Power Stretch work pant is engineered from heavy-duty 12 oz Cone Denim produced in the famed White Oak Mill of North Carolina. Its superior quality affords exponential stretch, molding to your form as you move. This inky power fabric has a denser feel and a closer weave than traditional denim. A modern slim fit with ten real pockets for any woman with things to do. And made to bend, give and move while you get the job done. Rebuilding engines, running conduit, cutting trail – power through your work. What's special about the Dovetail fit? 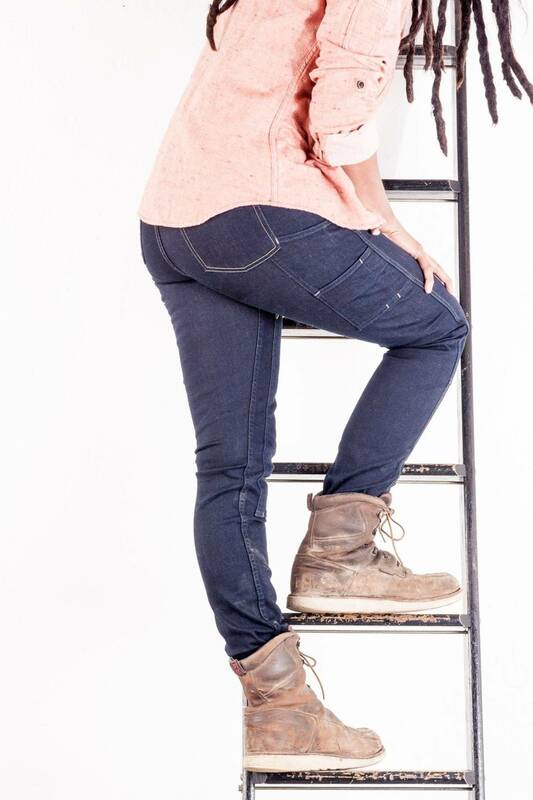 See the three photos of our Maven Slim in Power Stretch denim on women with different shapes and sizes. The three examples below illustrate how beautifully this pant accommodates a range of sizes and body types. Heft, but not too heavy. The Britt Utility in indigo denim is our new straight-leg fit, relaxed through the hip and leg, with room for boots. Using ConeStrongTM fabric that has been engineered with advanced fiber technology for superior strength and durability compared to traditional 100% cotton denim. With polyester woven into both the warp and the weft, this industrial strength 11 oz fabric is no mere working stiff. 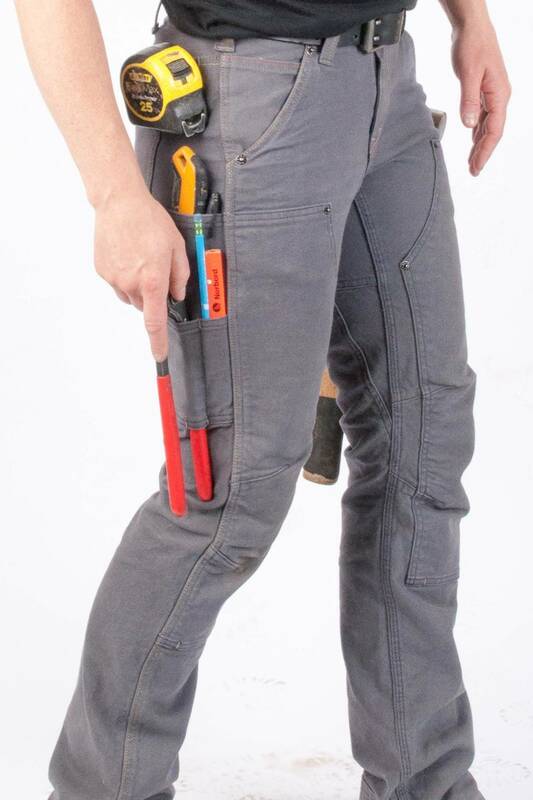 Its gusseted crotch, double front, extra pockets, and articulated knees mean that, just like you, this work pant does more. So yeah, of course the guys are jealous. 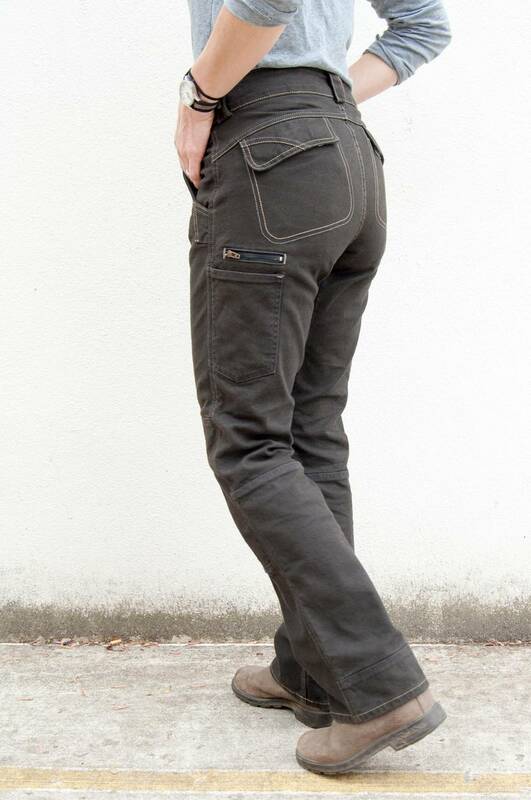 Our Maven Slim grey stretch canvas work pant is one of those classic articles of clothing that you need in every color. But, we’ll do you one better and offer it in a different fabric, too. In fact, each of our Maven options employ a different fabric for different needs. Our new, custom grey 10 oz duck canvas work pant bends and moves with you to get the job done, while still maintaining its rugged strength. 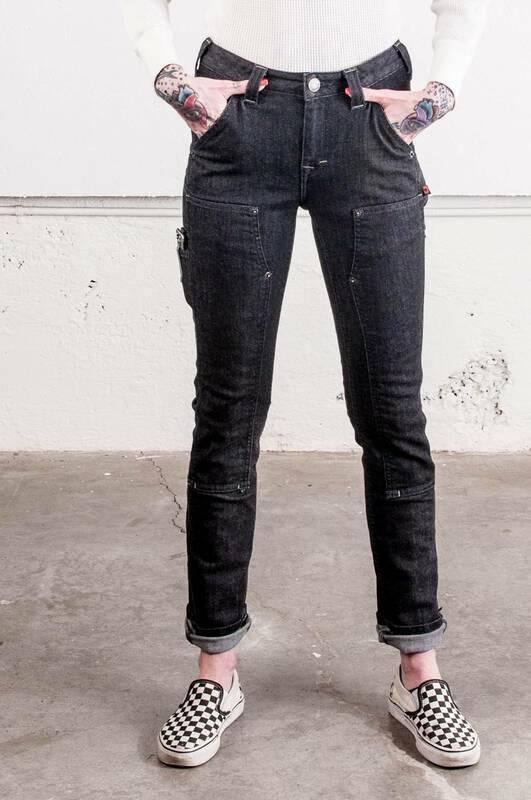 A modern slim fit with ten real pockets for any woman with things to do. Plus, grey goes with everything, and it’s the perfect camouflage whether you’re forming concrete or stacking stone. The Britt Utility in natural canvas is our new straight-leg fit, relaxed through the hip and leg, with room for boots. 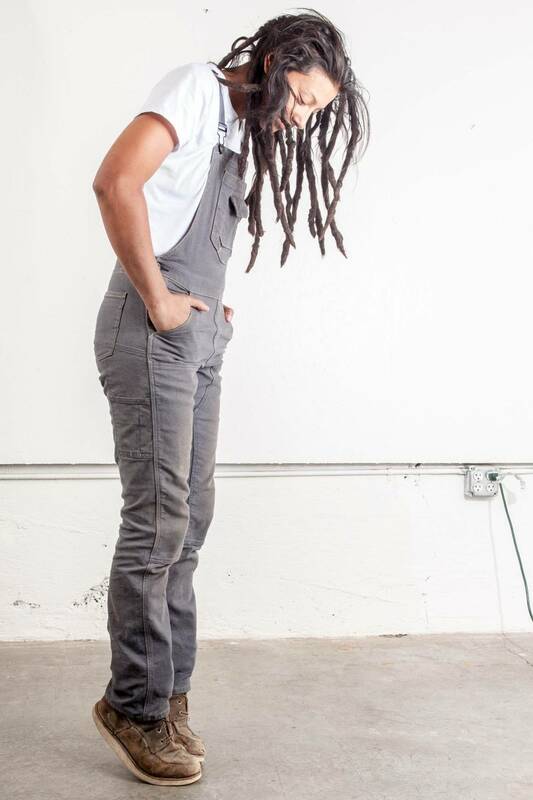 This high-performance pant is for the woman who wants a gender-neutral pant on the job. 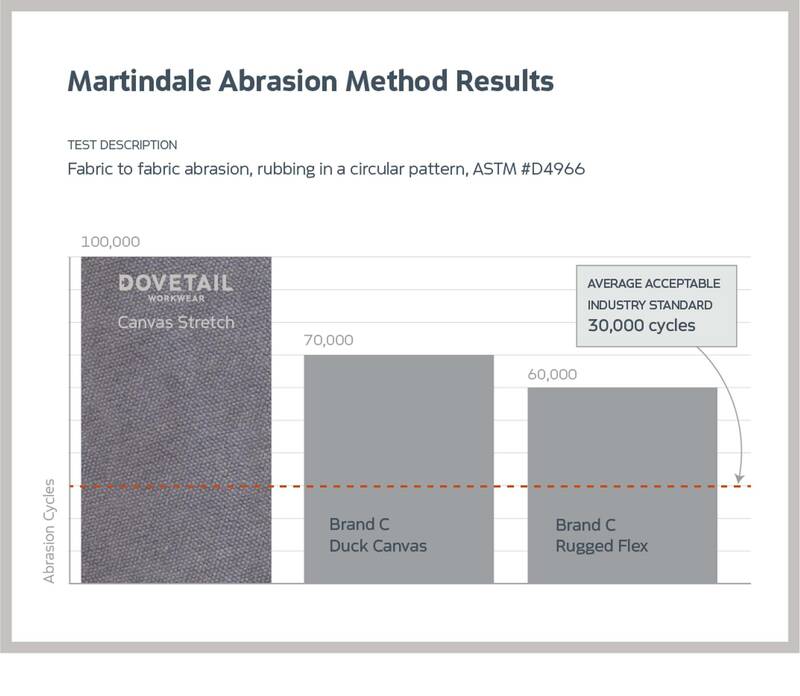 Offered in our own custom Dovetail 10 oz stretch duck canvas, proven to be more durable than any other duck canvas on the market, this pant is no mere working stiff. Its gusseted crotch, double front, extra pockets, and articulated knees mean that, just like you, this work pant does more. So yeah, of course the guys are jealous. Not available for pre-order. Coming in January 2019. The Britt Utility in grey stretch canvas is our new straight-leg fit, relaxed through the hip and leg, with room for boots. This high-performance pant is for the woman who wants a gender-neutral pant on the job. Offered in our own custom Dovetail 10 oz stretch duck canvas, proven to be more durable than any other duck canvas on the market, this pant is no mere working stiff. It's gusseted crotch, double front, extra pockets, and articulated knees mean that, just like you, this work pant does more. So yeah, of course the guys are jealous. We've reinvented this classic piece of workwear to fit and move on every body while bending, digging, painting, or shearing. 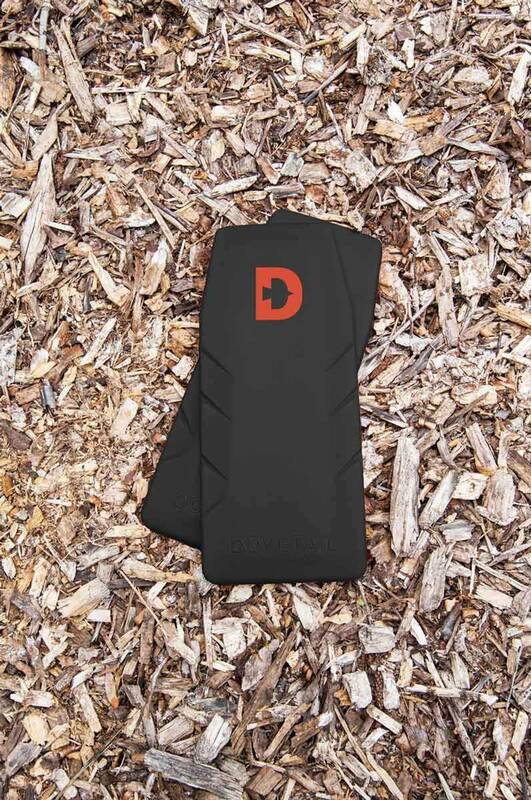 Offered in our own custom Dovetail 10 oz stretch duck canvas proven to be more durable than any other duck canvas on the market, this pant is no mere working stiff. This work pant incorporates what amounts to a toolbelt’s worth of nested pockets for stashing seeds, brushes, pliers, and phones. The bib pocket includes an ingenious eyelet through which to run twine for tying up the tomatoes or earbuds to drown out the chainsaw with your favorite lyrics. Not to mention, it looks damn good on. 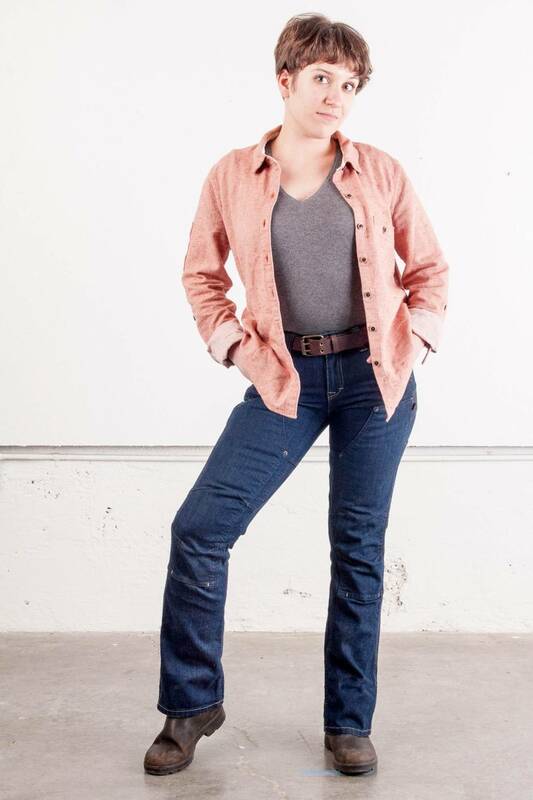 We've reinvented this classic piece of women's workwear to fit and move on every body while bending, digging, painting, or shearing. 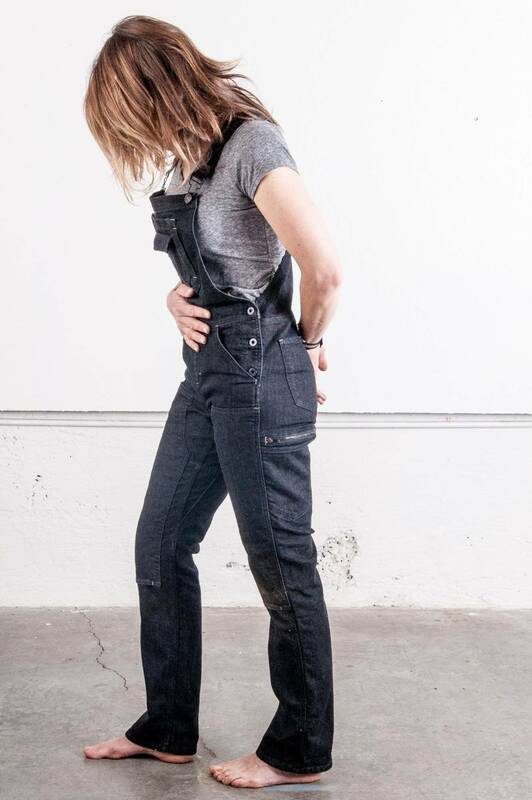 These work pants incorporate what amounts to a toolbelt’s worth of nested pockets for stashing seeds, brushes, pliers, and phones. The bib pocket includes an ingenious eyelet through which to run twine for tying up the tomatoes or earbuds to drown out the chainsaw with your favorite lyrics. Not to mention, it looks damn good on. One of our three founders, Kate pruned orchards and vineyards in her youth; hikes the Columbia Gorge with her family on the weekends; and previously ran a landscaping business. Inspired by her love of the outdoors and field sciences, the Day Construct work pant has a slightly lower front rise, a high back rise, and a relaxed fit. Fabricated with our custom 10 oz duck canvas, this pant reads more cargo than jean with deliciously deep and secure pockets. Ample space allows for tucking soil samples, leather bound field notes, and some trail mix as you work, naturally, in your element. Thank you for joining with us to create women’s workwear that’s fit for the job and capable of anything. The fit is flattering in this exceptionally soft, breathable cotton/polyester crew neck. With our new Dovetail Workwear logo in water-based ink, you’ll have that lived in look and feel that is ready for anything you do. 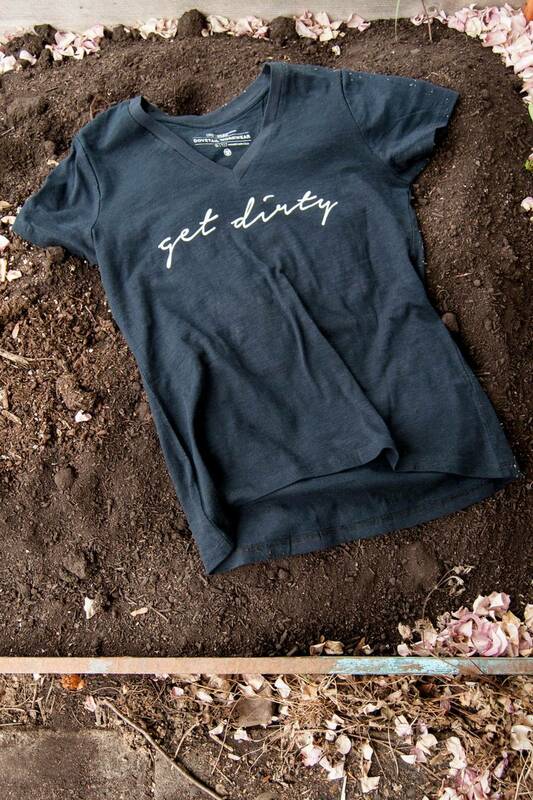 It’s all about the layers – of dirt, of personality, of experience. This is the perfect lightweight, breathable, long-sleeved shirt over a tee or under a vest. It has a trim, tailored fit, a rib-knit scoop neck collar and it holds its shape while carrying its weight. Peel back your rain slicker to show off the embroidered dove at the hem, because it’s all in the layers of detail. Whether smoking hives or welding steel, our Givens Workshirt will fit right in. A thoughtfully crafted layering piece that features a beautiful herringbone pattern with tweed-like color pops in 100% cotton. 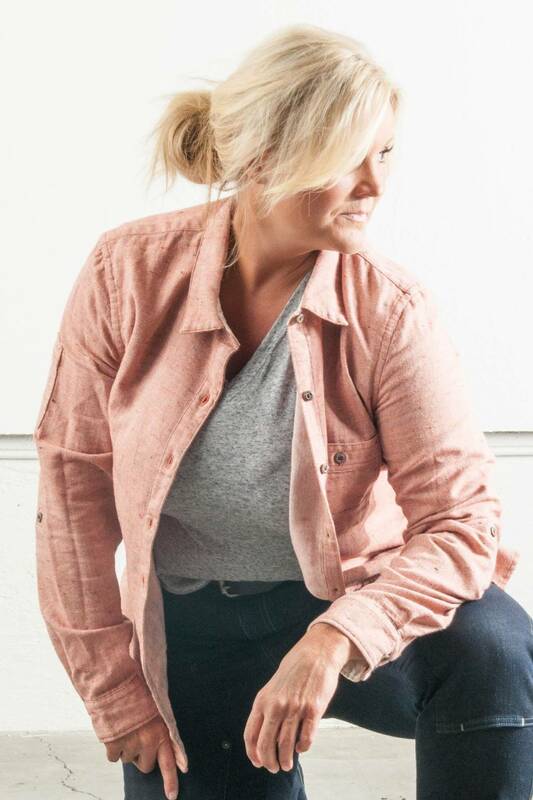 This shirt has a feminine fit with functional breast pockets plus a convenient sleeve pocket for pens or small tools. It dovetails perfectly with our line of workwear pants. It’s a hoodie! It’s a jacket! 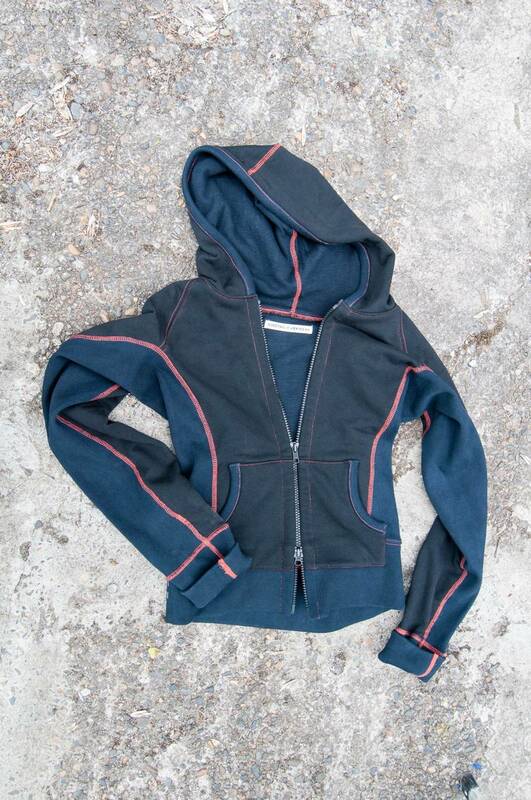 It’s super well constructed with heavy-weight lined French terry and a hefty rib. On the job site or at the ready in the cab of your truck, this H/J shows off with two tones, contrasting stitch detail and a fit tailored to a woman’s body. There’s nothing else like it. It’s the heroine we need. We know something about being tough and beautiful. That’s why we source full grain North American bison leather for our work belts. Sought after for its superior strength and distinctive grain, it is veg tanned with sensitivity to the environment using naturally occurring tannic acids found in bark and leaves. Made by our friends in Canada, the double-pronged buckle and continuous hole pattern are built for durability, versatility and fit. 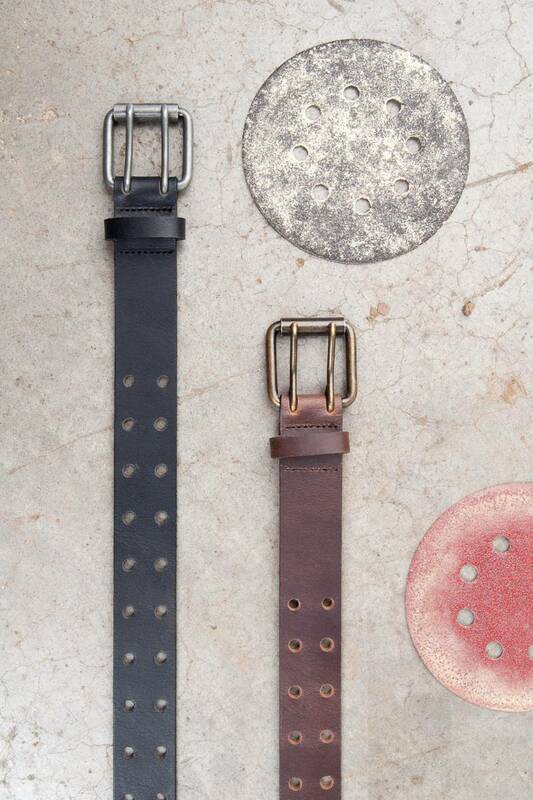 Debossed with the Dovetail triple bird brand, this belt will only get more beautiful with age. Just like us. 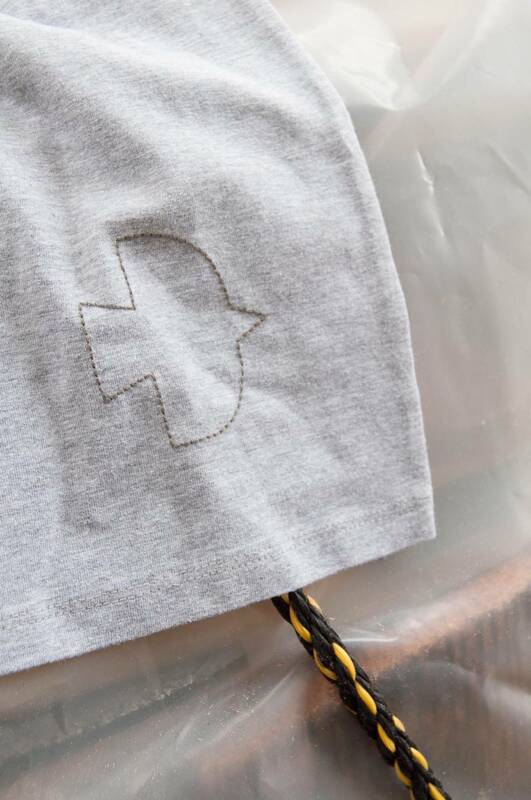 Our new Brandana is branded with our three founders in mind using our triple bird pattern. 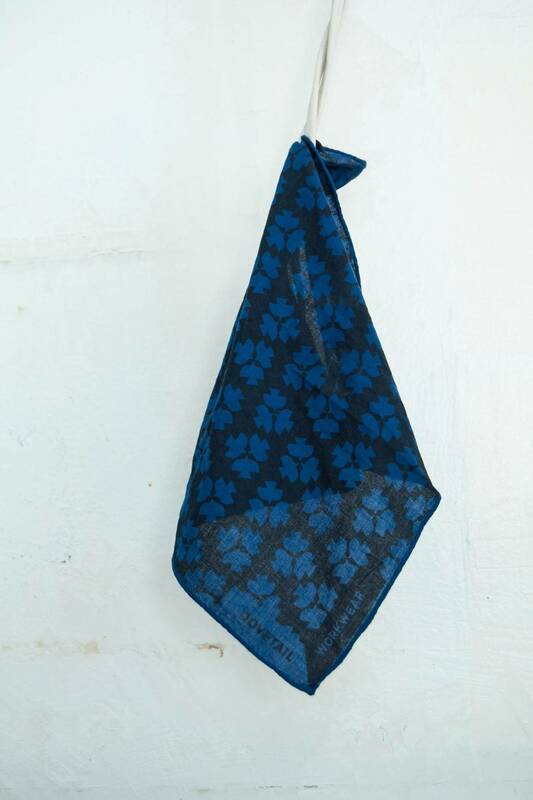 Made by a women-owned boutique manufacturer in India, these soft 100% cotton bandanas are the workhorse of accessories. Protect yourself from dust, wipe the sweat, tie up your hair, mop up a mess or make a clean square to eat atop in the shop. They’ll get the job done. Our new Brandkerchiefs are branded with our three founders in mind using our new triple bird pattern. 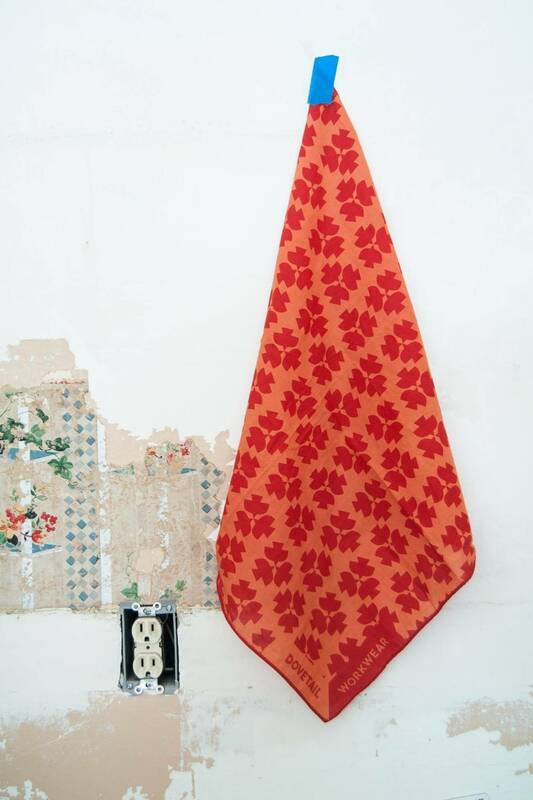 Made by a women-owned boutique manufacturer in India, these soft, 100% cotton handkerchiefs are the workhorse of accessories. Protect yourself from dust, wipe the sweat, tie up your hair, mop up a mess or make a clean square to eat atop in the shop. They’ll get the job done. Not available for pre-order. Coming in September, 2018. Two beanies or not two beanies. That is the question. The answer? 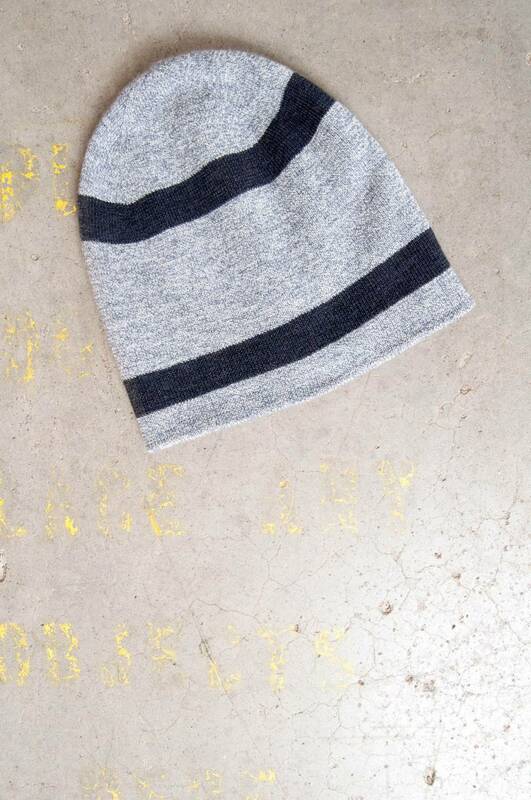 One reversible beanie. Wear it solid with the reflective label or sport the stripe. Not much works harder than you do, but this beanie’s soft, feathered Merino wool gives it a go, offering breathability, moisture management, exceptional insulation and even cooling properties. Phew! Oh wait - it’s also naturally wicking, odor resistant, quick drying and itch free. Not available for pre-order. Coming in January, 2019. 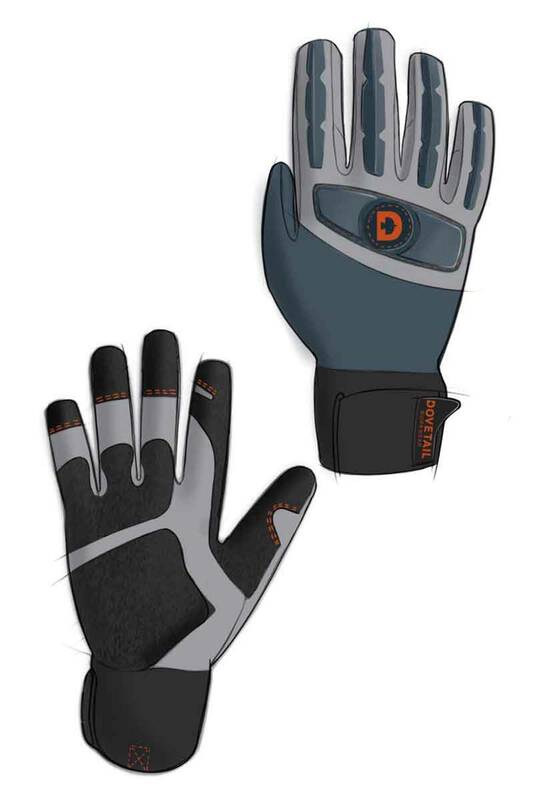 Because every rose has its thorn, we’ve designed a woman’s lightweight glove based on real world use and feedback. You’re out there working to make an impact, but just don’t want that impact to be on your thumb. DuPont™ Kevlar® reinforced palm layers and TPR finger and knuckle guards come between you and the rough materials you’re framing, plumbing or roofing with. 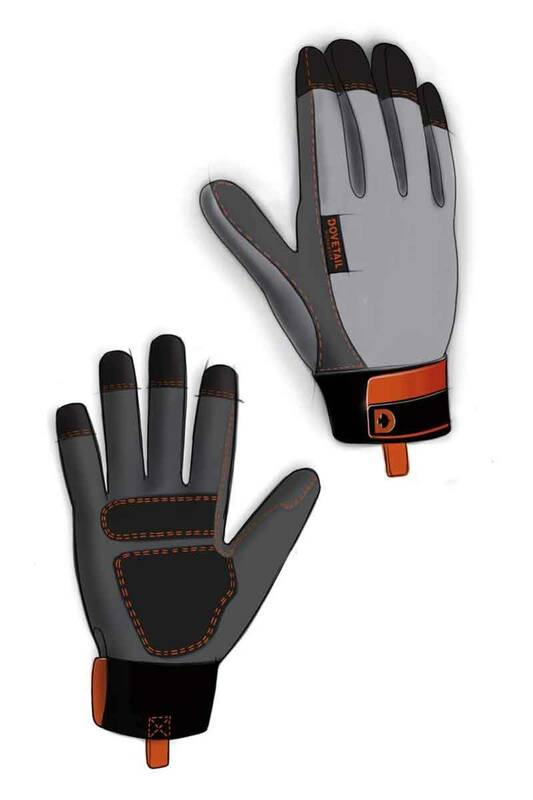 All this strength yet, they are machine washable and breathable with 4-way stretch and a touch screen sensitive index finger to call in the reinforcements. Our Dovetail-designed kneepads for women fit neatly into the overachieving chaps on our Britt Utility, Day Construct and Freshley Overall. Lean on us and get down to work.